In July, the Supreme Court threw out the current congressional districts, adopted by the Legislature in 2012 and tweaked in 2014, after finding that they violated the voter-approved "Fair Districts" redistricting standards, which prohibit political gerrymandering. 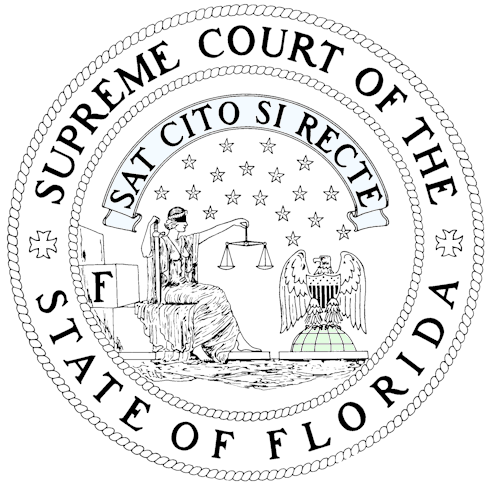 "Today's decision by Judge Lewis is another great victory for the people of Florida and for restoration of representative democracy as it was intended to work. ... If the Florida Supreme Court agrees with Judge Lewis and orders this map to be used, we will have ensured that Floridians have the opportunity to vote in constitutional and fair congressional districts in 2016," David King, an attorney for the voting-rights organizations, said in a statement following the ruling. 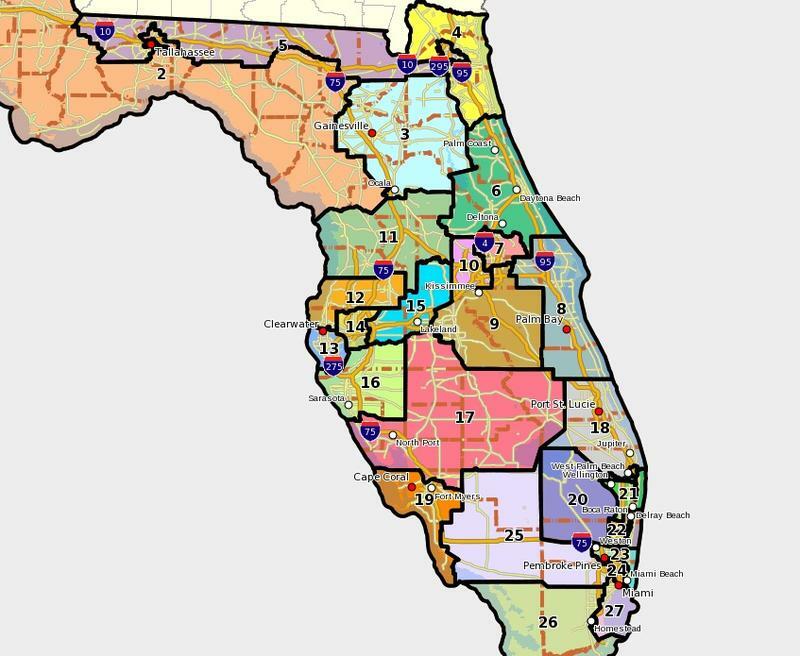 The map submitted by King's clients — the League of Women Voters of Florida and Common Cause Florida — would not change 19 of the districts included in a "base map" drawn by legislative aides ahead of the August special session and adopted by the House. But it revamps eight districts in South Florida, including highly contentious seats represented by Republican Congresswoman Ileana Ros-Lehtinen and Republican Congressman Carlos Curbelo and in some ways was the furthest from the base map among the seven plans that Lewis considered. Lewis ruled that one of three plans submitted by King's clients was "hands down the best tier two performing map of the group," referring to Fair District's requirements that districts be as compact as possible and try to keep cities and counties whole. He also criticized the Legislature for essentially ignoring complaints from the League of Women Voters and Common Cause that the approach lawmakers used to unite the city of Homestead in one district — as required by the Supreme Court — strengthened the chances that Curbelo could be re-elected. The Supreme Court originally ruled against splitting Homestead because, justices said, it appeared to be done to help the Republican Party. Lawyers for the House and Senate pointed out in court that the groups only wrote a letter objecting to the way Ros-Lehtinen and Curbelo's districts were arranged and didn't submit alternative maps during the special session. "But when the plaintiffs tried to participate by pointing out what anyone in the Legislature could also have determined — that the new districts were more Republican leaning than before — they are accused of trying to improperly insert political performance into the equations. ... There was no reason why the Legislature could not have taken another look at the South Florida districts, not for political performance but for tier two compliance, either in response to the plaintiffs' complaints, or better yet, on its own initiative," Lewis wrote. It is not clear how much the new lines could shift the political balance of Florida's congressional delegation, which currently has 17 Republicans and 10 Democrats. A seat being vacated by Republican Congressman David Jolly, who is running for U.S. Senate, and one held by Republican Congressman Daniel Webster are likely to fall into Democratic hands. Curbelo's re-election bid will also likely be more difficult; President Barack Obama carried the proposed district by almost 11 points in 2012. At the same time, Democratic Congresswoman Gwen Graham's North Florida district would become far more Republican. While Ros-Lehtinen's seat favors Democrats, she has wide crossover appeal and isn't seen as endangered. In response to the ruling, state House Speaker Steve Crisafulli noted that Lewis said the base map was a better plan than either of the proposals put forward by the Senate. But Crisafulli, R-Merritt Island, also made it clear that his chamber would continue the legal fight. "This recommended order is not final," he wrote to members in a memo. "The next step in this process is a review by the Florida Supreme Court." The Supreme Court issued a schedule late Friday that called for the House and Senate to file briefs by Oct. 16. King's clients and a group of voters who also sued to overturn the 2012 map were given another week to respond. Justices haven't decided yet whether to hear oral arguments in the case. Senate President Andy Gardiner, R-Orlando, pivoted to a special session, scheduled to begin Oct. 19, aimed at redrawing Senate districts. The Legislature settled a Senate case with the same groups that challenged the congressional maps after the Supreme Court's July ruling. "Today's order highlights the importance of a joint legislative work product," Gardiner said. House Redistricting Chairman Jose Oliva, R-Miami Lakes, was more overtly critical on Twitter. "Court's ruling declares different standard of intent for the legislature than they do themselves. Justice depends on consistent standards," he wrote. Some members of Congress were also critical. Democratic Congresswoman Corrine Brown continued to insist that her proposed district, which would run from Jacksonville in the east to Gadsden County in the west, would not vote for an African-American Democrat. Obama carried the district by more than 28 percentage points in 2012. Brown has consistently pushed for her district to retain its north-south configuration, even though the Supreme Court ruled against that arrangement in July and none of the parties before Lewis contested the new shape of her seat. "The newly drawn, partisan map is a blatant attempt by the plaintiffs and Florida State Supreme Court to disenfranchise minority voters in Congressional District 5. ... Indeed, the proposed congressional maps will bring about minority vote dilution and hamper the ability of Congressional District 5's minority residents to elect a candidate of their choice, since the base map entirely dilutes and disperses minority communities," Brown said in a lengthy statement. Brown has launched a legal challenge against the redrawing of the map, but that case has been put on hold to allow the state judicial process to play out. Democratic Congresswoman Frederica Wilson also blasted the new map for removing PortMiami, the Jackson medical system complex and the Brickell financial district from her Miami-Dade County territory. Wilson said the changes would make it more difficult for elected officials to focus on economic growth because they would have to deal with the problems created by poverty. "Isolating poor people behind district lines is as much a violation of the spirit of the Voting Rights Act as intentionally separating races for voting purposes to give one party a political advantage," Wilson said. 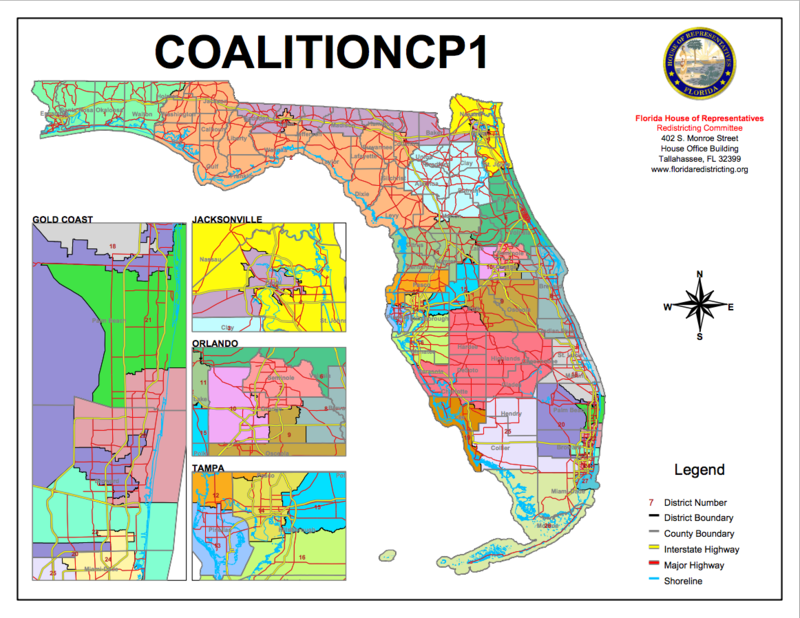 The legal arguments about Florida's political maps continue to mushroom. 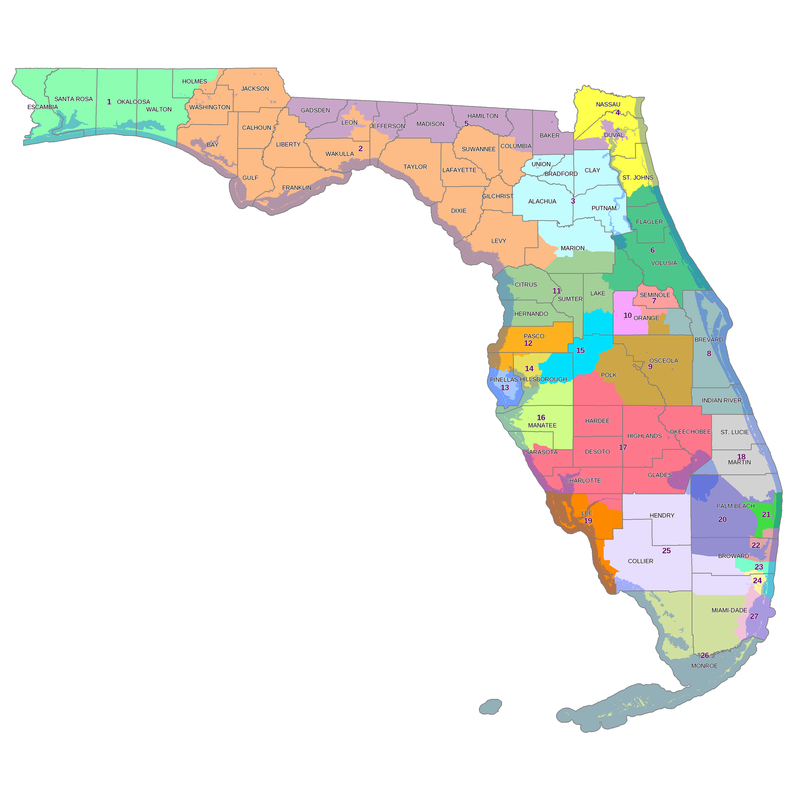 While the Florida Supreme Court and the Legislature grapple with how congressional districts will be drawn, more legal fights are building in federal courts. A plan to redraw Florida's 27 congressional districts overwhelmingly passed the state House on Tuesday, inching closer to a potential faceoff with the Senate over districts in Central Florida and the Tampa Bay area. Nine Democrats joined with the majority of Republicans in approving the new map on a 76-35 vote. Nine members of the GOP, some of whom fulminated against a Florida Supreme Court decision that prompted the ongoing redistricting special session, joined the majority of Democrats in opposing the proposal (HB 1B). TALLAHASSEE, Fla. (AP) — The Florida Supreme Court is allowing the use of key evidence in an ongoing trial to determine whether state legislators broke the law when drawing up new political maps.